The Conference aims to bring together researchers from academia, research organizations and industry in the very important area of filled systems and polymer blends. The High Polymer Research Group is a charity whose objective is to ensure that leading edge developments in polymer science and engineering are made available and fully discussed by industrial and academic researchers engaged in the field. We do this by organizing conferences that have been held annually since 1960 (Origins and History of the High Polymer Research Group) and we aim to make participation as diverse and as international as possible. Equally we interpret polymer science and engineering in a broad way encompassing biopolymers as well as synthetic polymers and their use in devices, engineering and medicine. In addition to fundamental and applied research the High Polymer Research Group (HPRG) also endeavors to address societal aspects of polymer science. 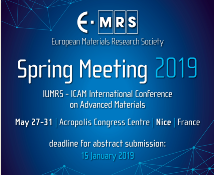 It is with great pleasure that we announce the 2019 Spring Meeting of the European Materials Research Society (E-MRS) to be held in combination with the IUMRS - ICAM International Conference on Advanced Materials from May 27 to 31 at the Acropolis Congress Centre, Nice, France. In line with the previous conferences, it is expected that this event will be the largest in Europe in the field of Materials Science and Technology. Indeed, the E-MRS Spring Meeting is a major conference with over 2500 attendees coming from all over the world every year. The 2019 Spring Meeting will consist of parallel symposia with invited speakers, oral and poster presentations, assorted by two plenary sessions and a number of workshops and training courses. In parallel with the technical sessions, more than 90 international exhibitors are expected to display equipment, systems, products, software, publications and services during the meeting. The high quality scientific program will address different topics organized into 28 symposia arranged in 6 clusters covering the fields of Materials for Energy; Bio- and Soft Materials; Nano-Functional Materials; 2-Dimensional Materials; Materials, Electronics and Photonics and Modelling and Characterization. The latest scientific results will be presented and authors are invited to submit papers in the selected journals that fit the scope of each symposium. It is worth noting that the papers are peer-reviewed at a high scientific level, according to a process and timetable that are at the discretion of the symposia organizers. The focus of the scientific program will be both on fundamental investigations and technological applications, providing an international forum for discussing recent advances related to the different aspects to be considered to promote innovation. The focal point of the conference will be the two plenary sessions each consisting of two Nobel Laureate presentations given by Prof. Hiroshi Amano (Nobel Prize in Physics 2014) and Prof. Klaus von Klitzing (Nobel Prize in Physics for 1985) followed by two eminent presentations given by the 2018 MRS Mid-Career Award winner speaker in the one session and the winner of the EU-40 E-MRS 2019 Prize winner in the second. These assorted presentations demonstrate exceptional promise for leadership and have made outstanding and innovative contributions to Materials Research in Europe and the US. 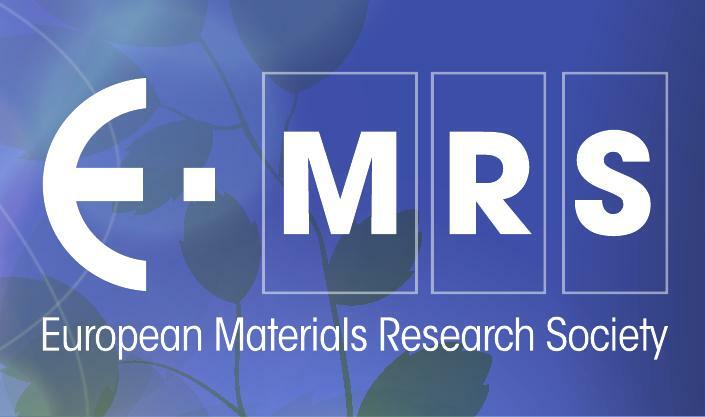 Everyone who complies with the profile of the EU-40 E-MRS 2019 Prize is encouraged to apply by January 31, 2019. The presentation of Graduate Students Awards, delivered for each one of the run symposia, will conclude the plenary session. We encourage all junior researchers to apply to these awards. Please note the deadline for abstract submission is set for January 15, 2019! It will be our great pleasure to welcome you all in Nice next May. In 2019, Nordic Polymer Days conference will take place at the Gløshaugen campus at NTNU, Trondheim, Norway, June 5th - 7th. The Nordic Polymer Days is the premier Nordic annual conference where researchers and professionals gather to confer around new polymer science developments and applications. Now in its 56th year, the Nordic Polymer Days continues to foster a collaborative environment and facilitate networking opportunities at the intersection of polymer science and technological development. A primary focus for this conference will be the active participation of students and young scientists. ECIS 2019, the 33rd Conference of the European Colloid and Interface Society (ECIS), will be held from 8-13 September 2019 in Leuven, Belgium. The annual ECIS Conference brings together participants from the broad, interdisciplinary field of colloid and interface science, including chemists, physicists, biologists and engineers. Topics will cover fundamental and applied advances in the fields of dispersed systems, nanoparticles, self-assembly and supramolecular systems, as well as wetting and liquid interfaces. In addition, advances in theory, simulation, and instrumentation including new analytical techniques will be discussed. We are delighted to announce that the 7th edition of the Baekeland conference (Baekeland2019) will take place in October 15-18th 2019 in the city of Tarragona (Spain), organized by the Universitat Rovira i Virgili. The conference, in honor of Prof. Leo Baekeland, is addressed to experts from academic institutions and industries working in the field of thermosetting materials. This conference aims to be a meeting point for the open discussion on the latest advances in the preparation, characterization and applications of thermosets. The 9th biennial Australian Colloid and Interface Symposium will be held at the Hotel Grand Chancellor, Hobart, Tasmania, Australia from 3 to 7 February 2019. ACIS 2019 provides a key opportunity for colloid and interface scientists worldwide to share their findings, network, and discuss advancements in their fields of research. There are a great many disciplines covered by colloid and interface science. Attendees will include scientists from all disciplines, early career researchers, industry representatives and end users interested in new developments across a range of technologies. The International Conference on Aggregation Induced Emission is the largest AIE specialised conference, bringing together research and industry in Aggregation Induced Emission from all over the world. AIE-4, hosted by Flinders University together with South China University of Technology and Hong Kong University of Science and Technology on Adelaide, Australia, 20–26 January, 2019, will feature the latest developments in the field of AIE research. The International Conference on Polyolefin Characterization is a non-profit organization that was created with the purpose of bringing together researchers and developers with different levels of expertise to share their experiences and latest findings, to ultimately contribute to the community's comprehension of polyolefin characterization. The ICPC Conference covers different aspects on polyolefin molecular architecture characterization, including molar mass distribution, comonomer incorporation and distribution, long chain branching, crystallinity and rheological properties. The Technical Program covers areas such as: Molecular Structure and Properties, Morphology and Thermal Analysis, Rheology, and Spectroscopy. Intended for profiles from both the industry and academia, the ICPC is organized every two years in three different locations: Texas, USA, Valencia, Spain, and Shanghai, China. The 7th edition will be hosted in Houston for the third time. XVII International Small-Angle Scattering conference, SAS2018, returns this series to the US after 19 years. SAS2018 will showcase the progress of small-angle scattering research in North America, including the many instruments at user facilities across the continent and the rich variety of research taking place. Coincident with major facility upgrades are renewed small-angle scattering capabilities across the U.S. (National Synchrotron Light Source-II, Advanced Photon Source, and Linac Coherent Light Source) which are either complete or well-in-progress, the SAS2018 conference offers a timely opportunity to promote stronger scientific and personal interactions. Grand Traverse Resort & Spa in Traverse City, Michigan, was selected as an ideal venue to promote strong interactions among the conference participants and to host this conference in a more intimate setting, in the style of a Gordon Research Conference. This venue has extensive conference facilities and provides for numerous social activity opportunities for both participants as well travel companions. This time of year, Michigan provides unique opportunities for travel before or after conference during the colorful fall season. On behalf of the organizing committee, it is our pleasure to invite you to the 10th ECNP International Conference on Nanostructured Polymers and Nanocomposites, which will be held from October 3rd to 5th, 2018 in the beautiful city of San Sebastian, Spain. Prior to the ECNP Conference, the 6th Young Polymer Scientists meeting will take place (October 1st to 2nd). The aim of the conference is to provide a forum for scientists from both academia and industry (researchers, students and engineers from all over the world) to exchange up-to-date ideas on current research and new applications of nanostructured polymeric nanocomposites. We encourage participants to present their current research work as oral communications or posters in one of the topics of the program. Application of functional polymers in energy, optoelectronics, sensing, biomedicine and others. 24–27 September 2018 Biennial Meeting of the GDCh-Division of Macromolecular Chemistry together with SFB 1176 "Molecular Structuring of Soft Matter"
This year’s conference focus is “Dimensional Control of Polymer Materials – From Synthesis to Function”. The design of polymer materials from highly defined macromolecules is in the focus of the conference. Molecular definition can be one-dimensional, along a chain, two-dimensional, within a surface, or three-dimensional. Noteworthy, the function of macromolecular materials is primarily determined by their molecular structure and the thereof resulting spatial arrangement and linkages. The focus on the molecular structure of soft materials by a dimensional organizing principle – determining the function – opens the possibility to classify the synthetic challenges as well as to transfer the scientific findings from one to the next dimension. This conference will address developments in functional polymers in all dimensions and aims at bringing together experts from both academia and industry to present and discuss novel ideas, applications, latest breakthroughs, developments, opportunities, and challenges of dimensional control of the macromolecular structure. The scope of the conference covers all aspects of Dimensional Control of Polymer Materials with a special focus on the synthesis and characterization of polymers, the structuring of polymers on surfaces and in networks, their resulting functional aspects with applications as smart materials, as well as polymers derived from sustainable sources. SIPCD 2018 Registration and abstract are now open! We are pleased to announce that the 5th Symposium on Innovative Polymers for Controlled Delivery (SIPCD 2018) will be held in September 14-17, 2018 in Suzhou, China. SIPCD held biennially since 2010 has been established as a high-level conference in the fields of biomaterials, controlled drug delivery, protein and cell delivery, gene delivery, polymer-based diagnostics, and tissue engineering. In SIPCD 2018, we will welcome about 600 participants from all over the world. SIPCD 2018 has planned 32 invited plenary lectures by worldwide leading experts, 10 short oral presentations selected for Biomacromolecules Forum, and about 350 poster presentations by researchers and PhD students. The whole symposium is organized in one single session, thus offering you the possibility to be present at all lectures and to participate in stimulating discussions about the cutting-edge developments as well as challenges in biomaterials and controlled delivery. 600 Participants in one session (without parallel sessions) throughout the whole symposium. 31 Lectures all given by worldwide top scientists including editors and associate editors of over 10 prestigious journals. An author workshop given by executive publisher pharmacology and pharmaceutical science of Elsevier. 10 Short oral presentations by selected/nominated prominent researchers in the Biomacromolecules Forum. Publication of a special issue in the Journal of Controlled Release (Elsevier). All plenary lecturers are warmly invited to contribute a research paper or mini-review to this SIPCD 2018 Special Issue. 8 Best Poster Awards sponsored and presented by Biomacromolecules (ACS). Vivid social program for networking with your peers as well as pioneers in the fields. We warmly invite you to participate in SIPCD 2018! Biomedical polymers save lives and improve the quality of life for millions as constituents of medical devices, diagnostics and therapies. The creativity of polymer scientists and new innovations in our ability to precision-synthesize polymers will lead to future advances, economic opportunities and improved healthcare for large populations. This POLY workshop, started in 1992 and offered every 2-4 years since then, showcases the special contributions of polymer scientists in advancing biomedical applications. For new biomedical polymeric developments to reach patients we need to interface academic researchers, industry scientists and government funders and regulators. Polymers in Biology and Medicine has, over its 26 year history, been a congenial forum for all stakeholders to share ideas and strategies. Join us for the next iteration of this long-running forum in the beautiful Napa Valley. The annual ECIS Conference is a major event for this community and this is the 32nd Conference of a series of successful meetings, whose primary goal is to bring together all major disciplines of colloids and interfaces, enabling participants to exchange knowledge, communicate each other the results of their recent research, and to network with colleagues for new collaborations. Meeting International proudly announces the “World Congress on Biopolymers and Bioplastics :Biopolymer 2018” which will be held during August 29-30, 2018 at Berlin, Germany. The theme of conference is “Synthesis and Characterization of Biopolymers and Polymer Sciences”. Meetings International provides a Global Platform for Polymer Research Professors and research fellows, Students from Material science, Polymer Science and Technology & Chemical Engineering, Biopolymer Engineers, Polymer Science Engineers & Chemical Engineers to Exchange Ideas, Knowledge and Networking at its World Conferences. It is our great pleasure to announce our second International Meeting in Mauritius – The International Conference on Advanced Polymers, Biomaterials and Nanomedicine. The idea and the essence of this meeting stems from the huge success of our 2016 international conference on Nanomedicine, also held in Mauritius. We once again, bring together several of the top scientists from around the world who will showcase their most recent and exciting research in a truly fantastic location. Attendees will also have the opportunity to make poster presentations to showcase their research results. The main goal of this meeting is to encourage and stimulate the exchange of ideas and of cross-disciplinary discussion while also allowing for social interaction and recreation. We hope to create an exciting and truly memorable meeting and we invite to join us and be a part of its success. The meeting will focus on modern aspects of polymer science and engineering, biomaterials advances and recent development in nanomedicine. Overall, the focus will be on both the fundamental and applied aspects of this growing field of research. Some of the plenary speakers include Prof. Steve Armes (University of Sheffield), Prof. Kazuhiko Ishihara (University of Tokyo), Prof. Neil Cameron (Monash University) and Prof. Yoshiko Miura (Kyushu University). Please check the conference website below for the complete list of plenary and keynotes. This meeting will take place in Mauritius, well-known for its fantastic breathtaking landscapes, beautiful beaches and safe environment. Mauritius is the prime touristic destination for visitors from Europe, Asia and Africa. Several tours will be organized. On behalf of the organizing committee of ICAPBN 2018, we are looking forward to welcoming you in Mauritius from August 4-7, 2018. The 4th International Society for Biomedical Polymers and Polymeric Biomaterials (ISBPPB) conference and exposition to be held July 15-18, 2018 in Krakow, Poland. The Conference sessions will include topics such as controlled release systems, drug delivery systems, antimicrobial polymers, biodegradable polymers and copolymers, tissue engineering, and many others. It is expected that around 300 delegates will attend the ISBPPB 2018 Conference, mostly from Europe (Austria, Belgium, Bielarus, Czech Republic, Finland, France, Germany, Greece, Irland, Italy, Netherland, Poland, Romania, Russia, Spain, Switzerland, UK), but also from the USA, Mexico, Australia, South Africa, Algieria, Brasil, Iran, India and Korea. ISBPPB 2018 Conference is a perfect platform to present and learn about latest research findings, materials, testing equipment and future perspectives on biomedical polymers and polymeric biomaterials. The World Polymer Congress MACRO 2018 is being held in Cairns at the Cairns Convention Centre from 1-5 July. The program covers all areas of polymer science and engineering, including synthesis, characterisation, processing, modeling and materials. A large number of sessions will also cover topics at the interface between polymer science and other disciplines that address a range of important issues faced by our modern society, for instance in medicine, energy and the environment. Such a varied programme shows how multidisciplinary polymer science has become and how collaborations across fields are the best approach to tackle today’s challenges. Over the years, the MACRO conference has developed a strong reputation for bringing together the latest polymer research from top international polymer scientists and, again in 2018, a number of leading Plenary and Keynote Speakers will be attending from around the world. The reputation of MACRO events goes further than great science; they are also famous for their warm and convivial atmosphere. The 2018 Congress starts with a welcome reception and extends to a number of special events throughout the conference that will highlight Australian heritage and the region of Cairns, including the Great Barrier Reef, and concluding with the conference banquet. For enquiries regarding delegate registrations or any other questions you may have about the Congress, please contact Emma Harrison at [email protected]. -- don't miss this tenth installment. 82nd PMM: Polymer Networks and Gels 2018 and 24th Polymer Network Group Meeting organized by the Institute of Macromolecular Chemistry, Czech Academy of Sciences. The conference will provide a discussion forum for participants from academia and industry engaged in science and technology of polymer gels and networks, both synthetic and natural. The emphasis is put on theoretical and experimental studies of the relations between the formation, chemical composition, structure, and properties of polymer networks and gels. Join the ACS for This Exciting Annual Event. The 92nd American Chemical Society (ACS) Colloid & Surface Science Symposium continues the long-standing tradition of bringing together interdisciplinary researchers from academia and industry across the globe. They convene to celebrate their common interest in particles and complex fluids, interfacial phenomena and chemistry, soft-matter science, and environmental science. 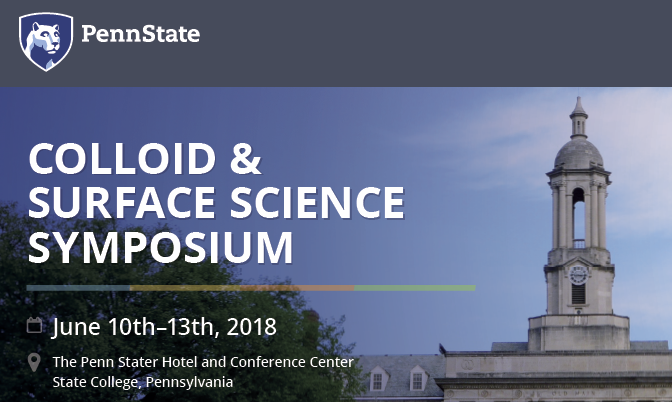 We hope you can join us for this symposium from June 10 to 13, 2018, at The Penn Stater Hotel and Conference Center, located in State College, Pennsylvania, USA. Call for abstracts due March 24, 2018. Prof. Dr. Thomas Epps (University of Delaware), Prof. Brent Sumerlin (University of Florida) and Prof. Nathan Gianneschi (Northwestern University) are co-organising the 4th Functional Polymeric Materials Conference from the 05 – 08 June 2018, in Nassau the Bahamas. This IUPAC conference is organized by research scientists of the Institute Charles Gerhardt of Montpellier (ICGM), with the support of National Center for Scientific Research (CNRS) and the National Graduate School of Chemistry of Montpellier (ENSCM). This conference will contribute to promote the role of polymers in various areas of chemistry (organic chemistry, chemical transformations, catalysis, polymer applications, and environmental issues), and will provide perfect opportunities for participants to present and share the results of their research in the fields of polymer chemistry and applications. The first POC conference took place in Lyon (France) in 1982. Since then, POC conference has been held every two years in different countries and continents (China, USA, Japan, Canada, Qatar, Romania). The latest POC conference was organized in Crete in 2016. In 2018, 36 years after the first edition, POC is back to France in the beautiful beach resort of Palavas. Each topical session will start with an invited speaker. Overall, two plenary and ten keynote lectures will be delivered during POC 2018. Oral presentations will be given for all the topical sessions and two poster sessions will be organized (on Monday 4^th and Tuesday 5^th after the last oral presentation) during cocktail receptions. As mentioned above, this conference is organized inside the Mediterranean Lighthouse of Palavas-les-Flots, a southern town located on a strip of land between the Mediterranean Sea and wild ponds, and taking its identity from over three centuries of history. The Mediterranean Lighthouse, this former water tower, completely rehabilitated and transformed into an amazing tourist infrastructure will host POC 2018. Thirty four meters above ground, the fully glazed panoramic lookout point and bar and restaurant on the top floor will welcome us for lunch and drinks during the conference. 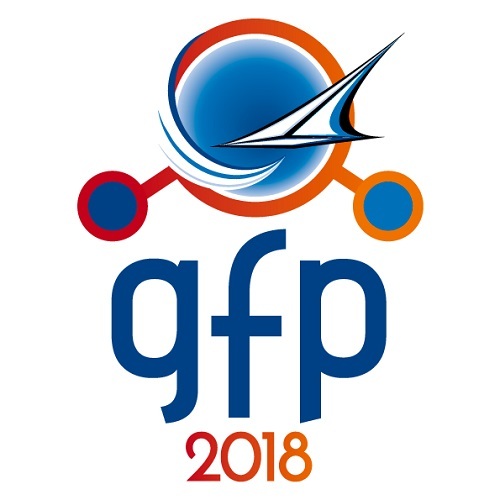 The goal of the first Bordeaux Polymer Conference (BPC 2018) is to gather the top specialists from all over the world, offering them the opportunity to present their most recent research findings and to discuss the latest ideas, discoveries and innovations in the field of Polymer Science and Engineering. The number of participants will be limited to around 250 to ensure a relaxed atmosphere and encourage dialogues and debates between scientists of international repute and young researchers. 12 outstanding Plenary Speakers, including Prof. Robert H. Grubbs (Nobel Prize in Chemistry 2005) and Prof. Ben L. Feringa (Nobel Prize in Chemistry 2016), 14 Keynote Speakers and 30 Invited Speakers will present their most recent results and discuss upcoming challenges in polymer science with regards to the diverse applications of polymers. Around 50 researchers will be offered the opportunity to contribute with lectures and 2 poster sessions will be organized. The event will take place in Bordeaux, FRANCE on May 28th-31st 2018. Bordeaux is a French city renowned for many aspects: Bordeaux is figuring as part of the UNESCO World Heritage, is described as “an outstanding urban and architectural ensemble”, classified as “City of Art and History”, and last but not least, Bordeaux is the wine capital of the world! On behalf of the organizing committee of BPC 2018, we are very much looking forward to welcoming you in Bordeaux in May 2018. It is our sincere pleasure and great honor to announce our first international conference PDFA, Polymers: Design, Function and Application, organized by the MDPI open-access journal Polymers. The inaugural conference will be held as a two-day event in Barcelona, Spain, March 21-23, 2018. It is our firm belief that this conference will play host to a scientifically inspiring two-day meeting in Barcelona with its exciting history, architecture, and environment. Registration is now open. The Giornate dell'Elettrochimica Italiana (GEI 2018) traditional meeting of the Italian Electrochemistry Community will be held in Sestriere, Italy from 21 to 25 January 2018, center of one of the most famous European ski areas known as Vialattea. The conference aims at further promoting the collaboration between the Italian electrochemists, as well as those of other countries in the European Community, involved in all the different aspects of environmental, analytical, spectro-/bio- electrochemistry and energy conversion and storage, from fundamental studies to applied materials and devices. The Congress will be held in the Olympic Village Hotel (4*) in Sestriere, built for 2006 Winter Games, with panoramic views toward the Valley. During 5 days, a rich scientific schedule will be offered including Plenary/Keynote Speakers, invited oral, oral and poster presentations and the awarding with the 15th Galvani Medal to Prof. Jean-Marie Tarascon (Lectio magistralis on Sunday). 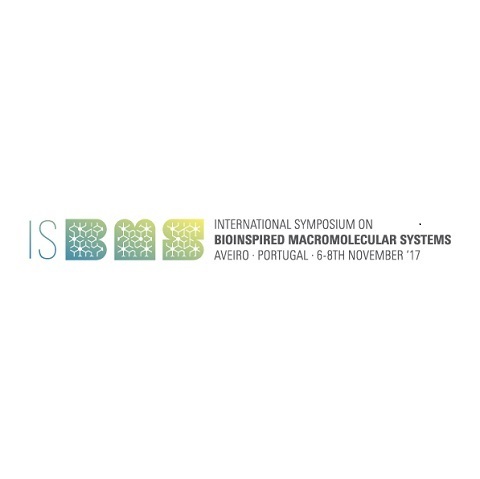 The “International Symposium on Bioinspired Macromolecular Systems (ISBMS)” will be held at the University of Aveiro, Portugal, from 6th to 8th November, 2017. This event will include the workshop “Enabling chemical and design tools for natural biomaterials development”, as part of the European Horizon 2020 Twinning project “CHEM2NATURE” (“Enabling precision chemical methodologies applied to natural-based systems for the development of multifunctional biomedical devices”), as well as a marine biotechnology session under the scope of the Marine Biotechnology ERA-NET project “BLUETEETH”. Moreover, a training session on “Scientific management and translational research” is being planned to be part of the program. The scientific program of this event will consist on plenary/tutorial lectures to be delivered by internationally world-distinguished scientists and poster presentations. For more information on the confirmed plenary speakers to date and further details, please check the website. 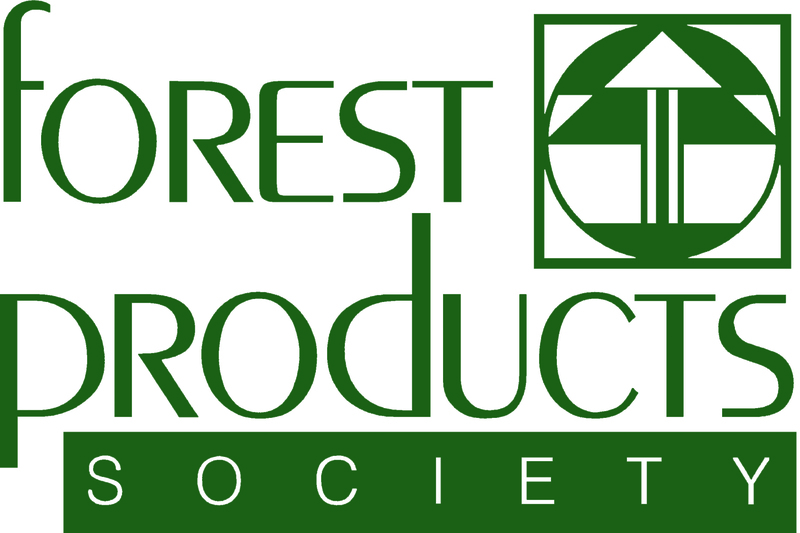 The Forest Products Society, along with the U.S. Forest Products Laboratory and the Wood Based Composites Center will jointly host the 2017 International Conference on Wood Adhesives, October 25-27 in Atlanta, Georgia, USA. This is the 11th series organized every four years. The international conference will bring together industry, academics and consultants with a special interest in adhesives for wood and biomass, and provide networking opportunities to over 200 leaders in the field (half academic/half industry), from around the world, to hear about the latest developments and innovations in the wood adhesives industry. Targeted professionals for the conference include adhesive suppliers or user of the downstream product from industry, academia, government, or NGO sector. If your business depends on having solid technical knowledge about glued wood products, this meeting is for you. We recruit the best technical minds in the field of wood adhesives so you get the most value for your time invested, and will have access to the proceedings. Dendrimers are globally regarded as “the fourth generation of polymeric materials”, which can be classified as nanomaterials in the domain of advanced materials. Dendrimers are widely utilized in light of their unique structure characteristics in areas of biomedicine; plastic and rubber; coatings and print ink; petroleum; nanomaterials; photosensitive materials; water treatment; aerospace; electronics, etc. Therefore, multiple research areas such as polymer chemistry, organic chemistry and supramolecular chemistry are drawn to dendrimers, making them an essential part of contemporary research in polymer science, as well as one of the most promising areas in modern chemistry. Chinese Chemical Society will be hosting “The 10th International Dendrimer Symposium” on 5–9 August, 2017, in Weihai, China. This symposium is co-organized by Donghua University, Shanghai Jiao Tong University and Weihai Chenyuan Dendrimer Technology Co., Ltd. The biennial event has progressively engaged more experts worldwide, ever since the 1st International Dendrimer Symposium hosted in 1999 in Germany, which in turn has facilitated academic exchange and scientific innovation. This symposium is gradually becoming a highly recognized international conference with, authority and a vast array of information exchanged. This symposium is scheduled as the following: lectures and presentations, product exhibition, equipment and manufacturing technique exhibition, and discussion on international standards. The theme of the symposium is “Dendrimer: Future Orientation”. Parallel sessions are Biomedicine/Nano-medicine, Polymer Chemistry/Self-assembly, Photoelectricity/Energy/Catalysis, Industrialized Application, and Innovation Competition for the Application of Dendrimer Products. The third FPM series will bring together leaders in polymers and polymeric materials from around the world to describe their most recent and cutting edge discoveries. The aim of the conference is to capture the multidisciplinary nature of polymer chemistry with topics spanning "basic synthesis and methodology" to "nanoscale and bioinspired materials". On behalf of the European Polymer Federation (EPF), the French Polymer Society (GFP), and the Université de Lyon (UdL), it is my honor and pleasure to invite you to the European Polymer Federation Congress 2017. Our ambition is to organize a congress which will cover all the different sides of the polymer science and technology. We want to design an exceptional rendez-vous for all polymer scientists and engineers belonging from universities, institutions, and companies from all around the World. We will do our best to build from your contributions a unique program which will respond to the congress title: ‘From last trends in polymer science to cutting-edge industrial innovations’. We wait for you as EPF 2017 participant! 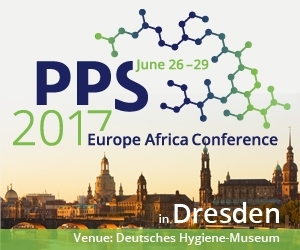 The Europe Africa Conference 2017 of the POLYMER PROCESSING SOCIETY (PPS) which will be held in the Conference Center of the Deutsches Hygiene Museum (a museum for life sciences and health) in Dresden, Germany from June 26 to 29, 2017. The Polymer Processing Society was founded in 1985 with the intention to create a platform for presentation and discussion of research results in the international polymer processing community. The first conference (at this time modestly called meeting) 1995 in Akron, USA, was the starting point of a series of very successful international annual PPS conferences. Since 1996 regional conferences have completed the offer of meetings. The city of Dresden, the capital of the Federal State of Saxony, is not only a leading center in materials science including polymer science in Germany, it is a cultural hot spot, too. A number of museums renowned worldwide are located in Dresden, the reconstructed downtown is a unique place for sightseeing, and the surroundings offer a romantic landscape for recreation. The Europe Africa Regional Conference 2017 will be organized by three leading scientific organizations in the field of polymer science in Saxony. The organizers invite you cordially to join the conference and meet friends and colleagues, expand your network and accompany young scientists at their entry into the polymer community. exchange their experience and discuss the research results. This Symposium provides an international forum for presentation and discussion about the most recent progress and future trends in the rapidly expanding interdisciplinary field of macromolecular and supramolecular architectures and materials as well as multifunctional realms of their application. This Symposium continues a series of conferences that have been organized biennial at different places around the world. The previous MAM conferences were held in South Korea, Japan, USA, Germany, Jamaica, South Africa and other countries. Russia will host the 8th symposium in 2017. Lomonosov Moscow State University with the support of International Union of Pure and Applied Chemistry acts as the organizer of the Symposium. MAM-17 will bring together more than 250 scientists and subject specialists from all over the world to share and discuss theoretical and practical knowledge about novel materials and to chart out future scientific and technological research directions. Plenary and breakout sessions, poster sessions, school of young scientists are scheduled within the framework of the event. Specialized exhibition, where the leading domestic and foreign companies will present their products and developments, will be arranged as part of the Symposium. he 12th International Conference on “Advanced Polymers via Macromolecular Engineering” (APME 2017) will be held in the beautiful historic city of Ghent, Belgium from May 21 to 25, 2017 and hosted by the Centre of Macromolecular Chemistry (CMaC) at Ghent University. The focus of the APME2017 meeting will be on macromolecular engineering for the design of advanced polymeric structures, in connection to their characterisation and recent applications. The aim of this conference is to bring together scientists, engineers and students with an interest in bio-based polymers. Bio-based polymers include various synthetic polymers derived from renewable biomass resources and biopolymers (such as polysaccharides, polyesters, nucleic acids, polyamides, polyisoprenoids, and polyphenols), their derivatives, and their blends and composites. Fossil resources are limited, while renewable resources are sustainable. In the past few decades, the science and technology of bio-based polymers have experienced a tremendous rise in significance at both the academic and industrial sections. In addition, a lot of bio-based polymers also received great attention in biomedical applications due to their good biocompatibility and biodegradation properties. Today, research and development on bio-based polymers are rapidly expanding in both the macromolecular and biological sciences. Previous conferences have been successfully held in November 2003 at RIKEN, Wako, Japan, in November 2009 at Universiti Sains Malaysia, Penang, Malaysia, in October 2011 at Peking University, Beijing, China, in September 2013 at Hanyang University, Seoul, Korea, and in June 2015 at National University of Singapore, Singapore, respectively. The 6th International Conference on Bio-based Polymers (ICBP2017) will be held in Yuan Ze University, Taoyuan, Taiwan on May 14-17, 2017. The conference is designed to offer a unique opportunity not only to take a critical examination of the milestone achievements in bio-based polymers but more significantly, to discuss how bio-based polymers can contribute to global sustainability and health cares in the 21st century. The program will feature contributions from both established and young scientists and engineers from both academics and industries, and will provide a platform for representatives from all over the world. The themes for 36APS will cover all areas of polymer science, engineering and technologies from the latest innovations and new methods in synthesis, polymeric architectures and nanoparticles, characterisation, processing and molecular modelling to the advanced applications of polymers in health, nano-medicine, energy, electronic materials and sustainability as well as polymers in industry and translational research. The APS has a long established tradition of bringing together the polymer science and engineering communities of Australasia as well as esteemed polymer colleagues from around the world; from the current world-leaders in polymer research to academics, researchers, research students and industrial professionals from universities, research organisations and polymer industry in Australia and around World. The 6th International Conference on Polyolefin Characterization will be held on November 6 - 9, 2016 in Shanghai, China. It will focus on polyolefin molecular architecture characterization, including molar mass distribution, comonomer incorporation and distribution, long chain branching, crystallinity and rheological properties. The main topic of the conference is the question "How to introduce different functionalities to polymer materials?". The tremendous need of designing and developing new functional materials originates from modern society challenges to improve the quality of life, to increase environmental protection and to develop advanced technologies. In this respect, polymer science has strongly moved towards functional polymer systems, in which properly designed molecular and macromolecular units act in concert to enable a certain function or action. The conference is thought to compile three major lines of research towards functional polymer systems: (i) what we can learn from Nature, (ii) how can we make best use of the specific mechanical, optical, and electrical properties of polymers, and (iii) how can we introduce new functionalities through the incorporation of inorganic materials. SIPCD held biennially since 2010 has been established as a high-level conference in the fields of biomaterials, controlled drug delivery, protein and cell delivery, gene delivery, polymer-based diagnostics, and tissue engineering. In SIPCD 2016, we will welcome about 550 participants from all over the world. SIPCD 2016 has planned 4 plenary and 27 keynote lectures by leading experts, one educational lecture on "how to write a great paper" by a senior publisher, and about 300 poster presentations by prominent young researchers and PhD students. Moreover, 12 Rising Stars (young staff, less than 40 years old) will be selected by the committee for 5 mins oral presentation. The symposium is organized in one single session, thus offering you the possibility to be present at all invited lectures and to participate in lively discussions about the most recent developments as well as challenges in innovative delivery. 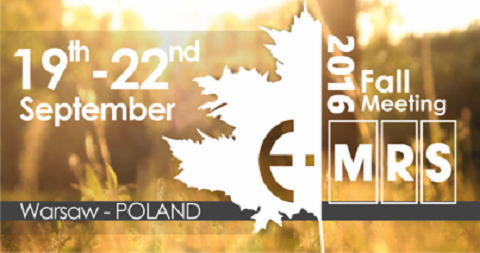 The European Materials Research Society invites you to participate in the 2016 E-MRS Fall Meeting and Exhibition that will be held on September 19–22, 2016, at Warsaw University of Technology, in Warsaw, Poland. The conference will consist of 27 parallel symposia with invited speakers, oral and poster presentations and a plenary session to provide an international forum for discussing recent advances in the field of materials science. The conference will be augmented by an exhibition of products and services of interest to more than 1300 conference participants from all sectors of the global materials science and engineering communities. 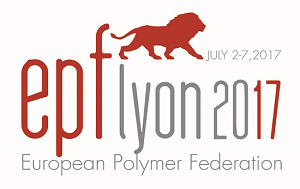 The 32nd International Conference of the Polymer Processing Society (PPS-32) will be held in Lyon, France. It provides cutting edge research results and latest developments in the field of polymer engineering and science. The thematic range comprises conventional processing technologies as well as materials based macromolecular research. General Symposia and a series of Special Symposia will offer a forum for more than 600 oral presentations and 200 poster presentation. 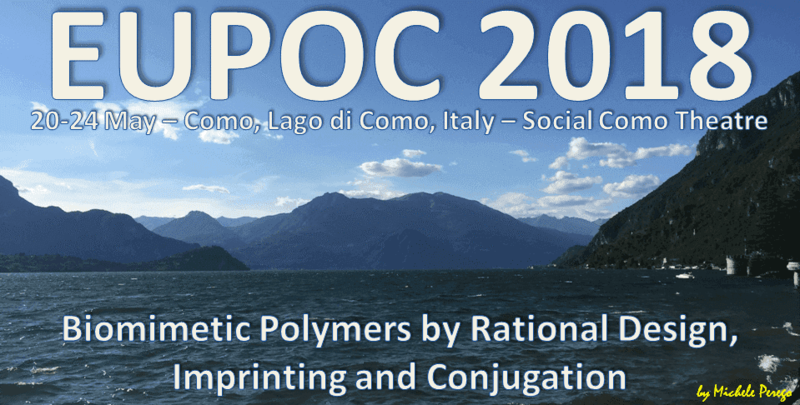 The 46th IUPAC World Polymer Congress (MACRO 2016) will be held from 17th to 21st July 2016. It is the largest international multi-symposium conference dedicated to all aspects of polymer science and engineering and formed the latest of the biennial IUPAC Polymer Division meetings. The BPG organisers invite you to Hasselt on May 23 and 24 for the 2016 edition of the Annual Meeting of the Belgian Polymer Group! The meeting will provide a forum to discuss all current topics in polymer science, both by industrials and academics. The meeting is also a platform for young Belgian polymer scientists to present their work via oral communications and posters. The main objective of the IC ME&D is to provide a forum for discussion on all the aspects of molecular electronics and related areas. The IC ME&D wants to promote interdisciplinary collaborations among the fields of chemistry, physics, materials science, polymer science, semiconductor technology, optics and photonics, MEMS technology, life science, and others, thereby creating more effective networking among the scientists working in these fields. Inorganic polymers have remarkable properties that can be superior to their organic counterparts in a variety of ways including, for example, thermal stability (polysilazanes), controlled degradability in drug-delivery systems, water repellents, flame retardants and metal ion conductors in batteries (polyphosphazenes), precursors for ceramics, microlithography and electroluminescent devices (polysilanes). Furthermore, the discovery of new synthetic approaches to metallopolymers led to a rapid surge of this field and the range of applications for these functional materials. Inorganic polymers are an innovative approach for sustainability by switching from hydrocarbon/oil based polymers to element based polymers and lessen the burden on scarce non-renewable resources or even provide alternatives to those. Outstanding experts in the field have been invited from all over the world and already accepted our invitation to hold their plenary and invited lectures at the Conference. The event will offer an excellent platform for the exchange of scientific knowledge and experience on Inorganic Polymers for young and senior scientists, and experts from companies. The First Pacific Polymer Conference, organized by the Pacific Polymer Federation in 1989, was designed to bring together polymer scientists from the Pacific region and from other parts of the world to discuss and exchange recent advances in polymer science, in polymer technology and the application of polymers. Successful conferences have been held every two years in different countries since that time. Currently, every 10 years the US scientists are responsible for organizing the conference in Hawaii since it can be held prior to Pacifichem. Thus, this conference will be the fifth organized by the US; prior conferences were held in 1989 (Oahu), in 1995 (Kauai), 2000 (Big Island), and in 2005 (Maui). By bringing together academic and industrial leaders in the photopolymerization field, this meeting will attempt to address critical, fundamental questions related to photopolymerization. The 27th meeting of the Polymer Physics Group provides an opportunity for researchers from both academia and industry to discuss the latest innovations in understanding and manipulating the physical behaviour of a wide range of polymeric systems. This conference is a continuation of a very successful series of conferences that were held over the last ten years mainly in South Africa. It is a unique opportunity for (mainly) Southern African researchers and students to present and discuss their research in polymer science. Over the years the conferences had specific themes ranging from polyolefins over composites to materials with biological and medical applications. In 2015, the focus of the conference will be on biologically active polymer systems and polymer characterization. The purpose of this biennial conference is to bring together the research community working in the interdisciplinary field of Liquid Crystals and Soft Anisotropic Materials. Join in formal and informal discussions that covers areas of polymer science, engineering and technologies from the latest innovations in synthesis, characterization, processing and modeling to the advanced applications of polymers in health, energy and sustainability as well as future materials and devices. Polymeric materials are essential for a sustainable development of the society and the basis for innovations in modern technologies. They contribute significantly to advance in life science, mobility, and communication technologies, and address essential challenges of energy and environment. All these cutting-edge topics will be in the focus of the congress. Invited plenary and keynote talks given by renowned speakers from leading international groups as well as numerous contributed papers and posters will present latest trends and results. With the topics chosen and the expected high number of participants from different areas of polymer science and neighbouring fields, the EPF congress will be an important platform for inspiring international and interdisciplinary exchange at the forefront of polymer science. Hence, it will provide breeding grounds and act as a catalyst for novel co-operative approaches beyond traditional disciplines and co-operations between research and industry, which are necessary to cope with the challenges polymer science is facing. It is widely recognized as being of the highest international significance and is the greatest of its kind in Europe with about 2,500 attendees every year. Each symposium publishes its own proceedings that document the latest experimental and theoretical understanding of material growth and properties, the exploitation of new advanced processes, and the development of electronic devices that can benefit best from the outstanding physical properties of functional materials. Thousands of chemical professionals will come together for the upcoming 249th ACS National Meeting & Exposition in Denver, CO from March 22 – 26, 2015 to explore the overarching multidisciplinary theme of Chemistry of Natural Resources. Join us for this 5-day meeting packed with learning opportunities that will enrich your experience and cultivate new ideas and new contacts. Environmentally friendly, cost-efficient multifunctional materials are important for nearly every aspect of daily life. Polymers are one of the major areas of molecular and materials science with their various uses not only as plastics and elastomers but also as fibres, films and structural materials in application areas ranging from electronics, adhesives, lubricants structural components for cars and aircrafts to more mundane uses such as in children’s toys, clothing and food packaging. 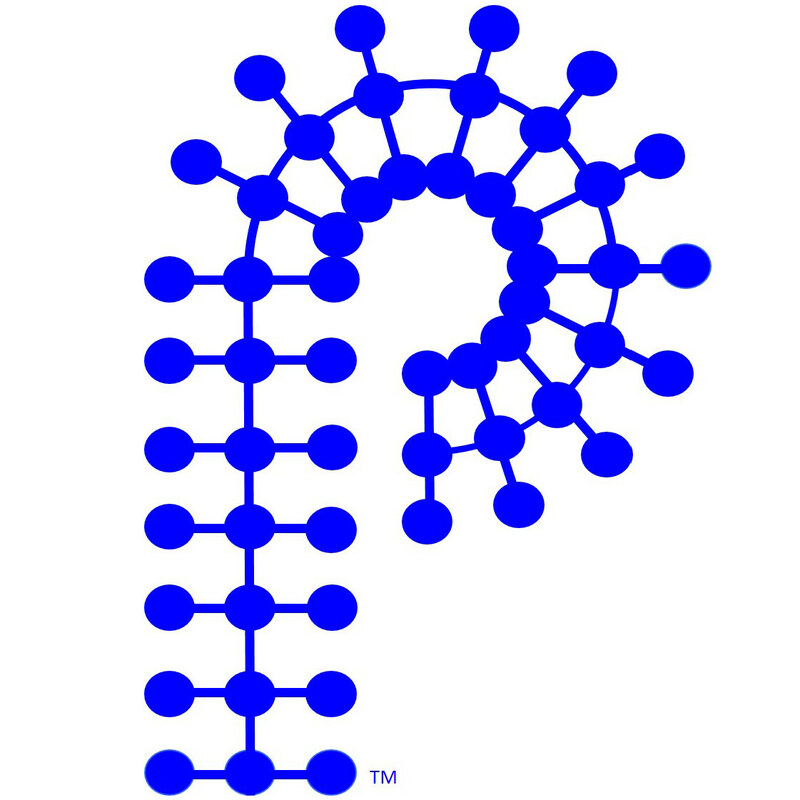 The Polymer Processing Society (PPS) was founded in March 1985 at the University of Akron, Ohio, USA. For the last 30 years, the meetings were held worldwide in major cities across the continents, this is the first time that a PPS meeting is held in Israel. The meeting will gather top researchers from all over the world coming from academic, institutional and industrial organizations working in the field of Plastics and polymers, polymer processing, smart polymers, polymer nanomaterial and in the field of functional polymers (magnetic and piezoelectric polymers, polymers for optics and photonics, biomaterials, polymers for sensors and actuators, polymers for packaging, agriculture, medical, energy, electronics, automotive and aerospace). The International Symposium on Polymer Analysis and Characterization, ISPAC, is a non-profit scientific organization. The mission of ISPAC is to provide an international forum for the presentation of cutting-edge technologies in the field of polymer analysis and characterization. We hereby invite your participation to the 12th PAT conference to be held in Berlin, Germany on 29/9/13–2/10/13. We anticipate a full and exciting program under the motto From Macromolecules to Materials to Systems with provisions for over 400 participants in a stimulating environment. Abstract submissions are welcome for those wishing to contribute scientifically to our large poster session or oral presentations. Oral contributions will include six plenary lectures from highly distinguished guests, 52 invited speakers, and several shorter oral presentations spread over specialized sessions for particular subject areas. PAT conferences are organized under auspices of the Polymers for Advanced Technologies journal in response to recent significant changes in the patterns of materials research and development. The conference will cover all major topics in polymer science and engineering and provide a venue for discussions between scientists and engineers from academia and industry, bridging fundamental and applied aspects. Young researchers are especially encouraged to present their results. 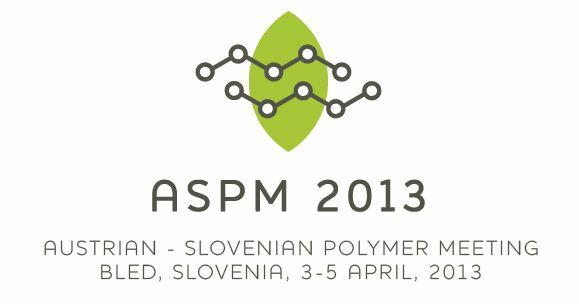 We are with great pleasure announcing that the time schedule for the 3rd Austrian – Slovenian Polymer Meeting is published. The scientific programme (http://aspm.si/scientific-programme) will host 4 plenary speakers, 16 keynote speakers, 75 speakers, and 110 participants with poster presentations from 38 countries, who will present their research findings in 11 sessions. The 76th Prague Meeting on Macromolecules: Polymers in Medicine will be focused on the latest innovative developments in drugdelivery systems. The conference will bring together multi-disciplinary researchers from both academia and industry in the areas of pharmaceutics, polymer and materials science, imaging, cell and molecular biology, genetics, and medicine. Polymers in Photovoltaics 2012 aims to examine a wide range of topics on module manufacturing including the markets, materials, manufacturing equipment, technology and certification worldwide. It provides a unique networking and sourcing opportunity for module manufacturers, solar power companies and suppliers to the industry. new methods of latex production. This will be the 6th International Conference in the series organised by the European Structural Integrity Society - Technical Committee 4 on Fracture Mechanics related to Polymers, Polymeric Composites and Adhesives. We are again inviting papers in the areas reflecting the current and future interests of TC4 as listed below. New developments and innovative applications are especially welcome. As one of the most highly acclaimed meetings in the field of composite materials, ICCM takes place biannually in different countries all over the world, with the most recent ones being held in Kyoto, Japan (2007) and Edinburgh, UK (2009). I am truly glad to host such a big event on the beautiful Island – Jeju. This year, the organizing committee has chosen “Composite Materials: Key to the Future” as the main theme of the conference, with a focus on the latest developments and trends, as well as the future outlook of the field of composite materials. The organizing committee is gearing up for an exciting and informative conference program including plenary lectures, symposia, workshops on a variety of topics, poster presentations and various social programs for over 1,000 participants from around the world. Abstracts for posters within the themes of the conference (Anionic Polymerizations, Cationic Polymerizations, Related Processes (Controlled polymerizations, Macromolecular Engineering)) are invited. (1) Polymer structure, Polymer physics, Polymer function, Polymer industry, Engineeringcan be selected by presentater “Oral presentation”, “Poster presentation” and “english oral presentation”. (2) The theme of Polymer chemistry, Biological macromolecule, Polymer related to living body, Environment and Polymerare accepted “Poster presentation” or “English oral presentation”. The 43rd IUPAC World Polymer Congress, \'Macro 2010\', is the latest in the series of the biennial meetings of the IUPAC Polymer Division. The series has been running for several decades and is the largest international multi-symposium conference dedicated to all aspects of polymer science and engineering. The organisers are aiming to accept contributions from a wide range of areas in the field of polymer colloids and their applications. The organizers of the European Polymer Congress 2009 cordially invite you to the forthcoming EPF’09 taking place July 12-17 2009, in Graz, Austria – in the heart of Europe. The European Polymer Congress is a biannual event covering all aspects of polymer science. During the last few decades, the EPF congresses have already attracted more than 800 participants. The EPF’09 aims to bring together a wide range of polymer scientists, researchers, engineers, students and others. All major cutting edge topics of polymer science will be discussed in six parallel sessions including plenary lectures, keynote lectures, regular oral contributions and poster sessions. Looking forward to seeing you in Graz! International Symposium Celebrating the 50th Anniversary of the Journal "polymer".